What's the Shelf Life of This Made-For-Influencers Apartment? If you don’t live in a space awash with natural lighting and touches of millennial pink, yet you derive income from being photographed in such settings, good news: You and your influencer friends can shoot videos and photos in this staged SoHo apartment for free. 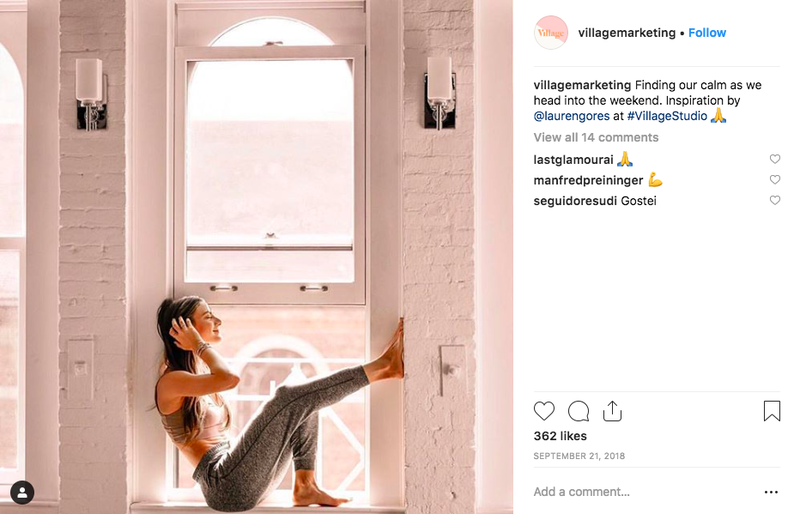 The apartment, profiled in the New York Times in September, was dreamed up by Vickie Segar, the founder of Village Marketing, an agency that connects brands with influencers. Segar said she saw a need among influencers for beautiful, well-lit spaces to take photos in; their own apartments, apparently, did not fit the bill. She keeps the place free for influencers by charging brands—which have ridiculous photoshoot needs—for access to the studio. A new report from CNN reveals how much brands are willing to shell out for this meticulously curated, perfectly imperfect space: Renting the apartment for a single day, just to shoot photos or video, costs $3,000—or almost double my monthly rent. Renting for a day goes for $8,000 to $12,000. But this detail is perhaps the most egregious: if a brand wants an “elaborate flower installation” for its photoshoot, it should be prepared to pay anywhere between $10,000 and $100,000. A bathtub barfing up some shrubbery. It probably costs more than my annual salary. The exact appeal of the apartment, however, reveals the truly deceptive nature of the advertising that’s borne of it. Looking at photos of the apartment, you can immediately tell it’s extremely staged—no one’s home really looks like that—but the scene looks move lived-in than a traditional studio (say, with no people in it and with a white backdrop). For influencers, the SoHo apartment could look like their home, but of course, it isn’t—that’s why they rent out this space and don’t just take photos from their own disheveled bed. (That would be too real!) In the end, everyone in this ecosystem is selling a very upscale vision of modern existence, and for what? So that you’ll spend your money on kombucha or a meal-kit service or strappy sandals that look like an aggregated version of everyone else’s, all while living in an apartment you can just barely afford. How long can this really last? I suspect that consumers have fully already caught on this trend in marketing, identifying a visual style of advertisement that’s designed to look like their own lives, only pinker and with more gold accents and lush, green plants, and that soon, this too will become passé. And then, $100,000 for a whole bunch of plants will no longer be deemed an appropriate marketing expense, but that money will probably go to some other visual signifier of aspirational wealth, and the cycle will repeat itself again, slightly different this time.